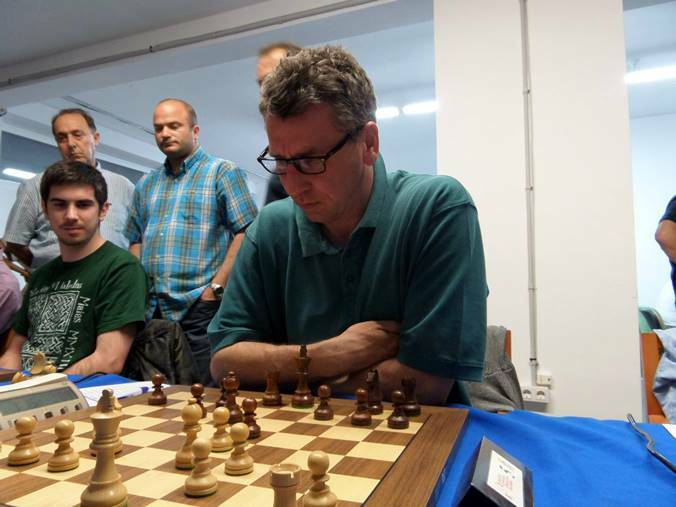 After six rounds of the Llucmajor Open we reported that Sergey Fedorczuk was on course for a Fischer-like performance. The Ukrainian grandmaster started with 6/6, but then he switched from locomotive to sailboat mode to finish with three draws – two of them fast and with White – to clinch the tournament on tiebreaks over Bulgaria’s Aleksander Delchev. Norway’s Simen Agdestein – who passed his fighting spirit on to the young Magnus Carlsen – fought valiantly to upset the standings, but his efforts ultimately backfired. IM David Martínez reports. Black has lost a pawn and his position appears critical, but Fedorczuk once against demonstrates excellent technique and manages to draw without any great difficulty. The key to the defence was the move 36…Kd7!, heading to support the weakness on f7. Although this seems to abandon the queenside to its fate Sergey had everything under control. 37.Rh8 Re2! 38.Ra8 Rxe5 – Black attacks c5 and White is unable to defend it and advance his a-pawn. Agdestein kept pushing for a while, but he never managed to upset the balance. It's easy to draw when you've got good technique, isn’t it? Agdestein has just played 13...Qf6, trying to switch pieces to the kingside to increase the pressure. However, this is a typical error… of morning play! While the rounds were usually played at 20:30 the final round started a mere thirteen hours later, at 9:30 – and in that time the participants had both to play and sleep. It’s understandable that after his attempts to beat Fedorchuk in the eighth round Simen failed to recover in time and missed Delchev’s 14.Nh5!, forcing the black queen to retreat since capturing the knight loses the queen to Bg5. Black has an extra pawn but material is so reduced that if he can manage to exchange some pawns the idea of sacrificing his bishop for the final black pawn will be in the air, and with that, a draw. Moves such as Bf6 would be normal, but instead Agdestein played the pseudo-active 51…Kd5?, leaving the unfortunate bishop undefended. After 52.Nc6 he really was lost. At times chess is very tough and hours of hard work are spoiled by slips like this. 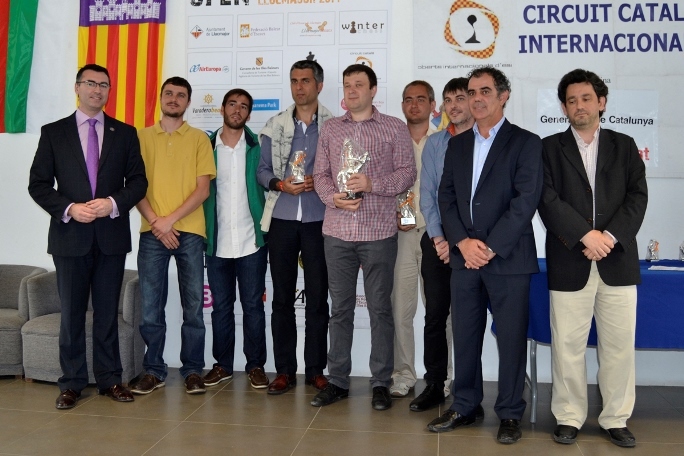 The organiser, Sebastiá Nadal, announced at the closing ceremony that this strong open tournament will continue next year.